The flaw, which was publicly revealed Monday, is not the result of a cryptographic weakness in the widely used TLS (Transport Layer Security) or SSL (Secure Sockets Layer) communication protocols, but stems from a rather mundane programming error in a popular SSL/TLS library called OpenSSL that’s used by various operating systems, Web server software, browsers, mobile applications and even hardware appliances and embedded systems. At first glance, dealing with this problem appears to be easy: update OpenSSL to the patched versions that should now be available for most operating systems and it’s done. However, taking into consideration the possibility that the flaw might have been exploited by attackers by the time a particular server was patched and that its secret TLS keys might have been compromised, things are suddenly more complicated. First step: which version of OpenSSL was used? Once the OpenSSL installation is patched on the server and attacks are no longer possible, it’s time to obtain a new SSL certificate and revoke the old one to ensure that any private key information attackers might have obtained though the flaw won’t allow them to decrypt traffic in the future. Dealing with this OpenSSL vulnerability might also be a good opportunity for website and server administrators to review their SSL/TLS configurations and make sure they’re up to modern standards. The Open Web Application Security Project’s (OWASP) Transport Layer Protection Cheat Sheet and the SSL/TLS Deployment Best Practices by Qualys SSL Labs might serve as good starting points. It might also be a good time to consider configuring TLS with Perfect Forward Secrecy (PFS), a property of DiffieHellman key agreement protocols—DHE and ECDHE—that are already in use on some large websites, including Google. PFS makes decrypting previously captured TLS traffic impossible even if the server’s private key is compromised and Heartbleed did not affect servers that had TLS configured for PFS. 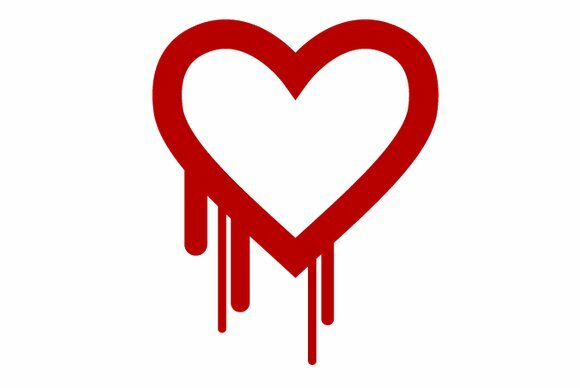 Because the Heartbleed vulnerability can also be used to steal passwords from the server’s memory, website administrators should assess and consider what categories of passwords should be changed as a precaution. In some cases it might be wise to force or at least advise all users to change their passwords. Finally, it’s also important for administrators to look at their whole Web infrastructure and not just individual Web servers when assessing the impact of this vulnerability. For example, even if a Web server runs as IIS (Internet Information Services) on Windows and is not affected by this flaw because IIS doesn’t use OpenSSL, there might be an Nginx server with OpenSSL running as a load balancer for encrypted traffic or as a reverse proxy in front of that IIS server, said Troy Hunt, a software architect and Microsoft’s MVP, in a blog post.